Many organizations have opted for shared SSID and passphrases as their method of WiFi network security. This is hardly secure. But making WiFi actually secure can be a major hassle. As your employees come and go, the WiFi passphrase must constantly be updated. That means extra overhead and wasted time for both IT admins, and for all of your users. This is exactly why so many companies have opted for the easy way by keeping the same SSID and password, even if it means a wide array of people having access. This would all be fine, but if someone gets access to the WiFi network who shouldn’t, it will put IT in hot water. As IT admins look to add more security to their WiFi network, they have been turning to integrating cloud RADIUS and unique user authentication to the WiFi network. Ideally, these IT admins are looking to use a common password or user account that the user can create and employ, but still have the account be owned by IT. The goal is to use G Suite passwords for WiFi authentication. While WiFi is ubiquitous now, G Suite isn’t far behind. Over 5 million organizations have chosen to use G Suite (formerly known as Google Apps), and the benefits have been significant – the move to the cloud, a cost-effective suite of productivity solutions, and the replacement of Microsoft Exchange, Windows file server, and Office. 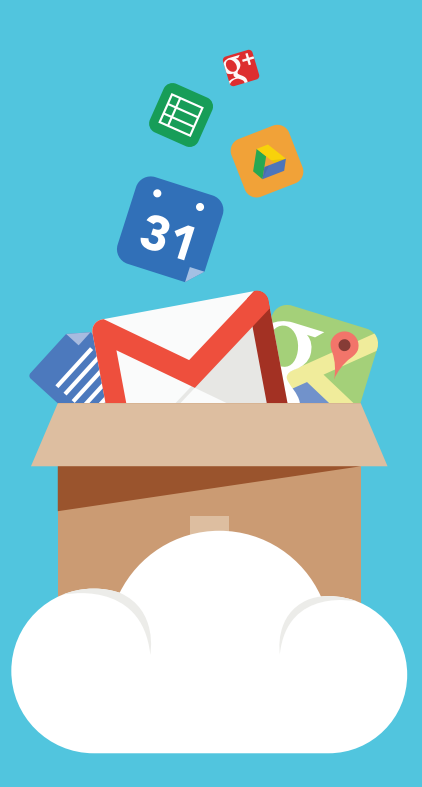 As IT admins have embraced G Suite, they are trying to push it to its limits. One area is within identity management, where IT admins are wondering if G Suite’s directory can be leveraged as a core identity provider. If it can function as an Active Directory® replacement, can G Suite passwords also be leveraged for users to gain access to their systems, servers, applications, networks, and more? 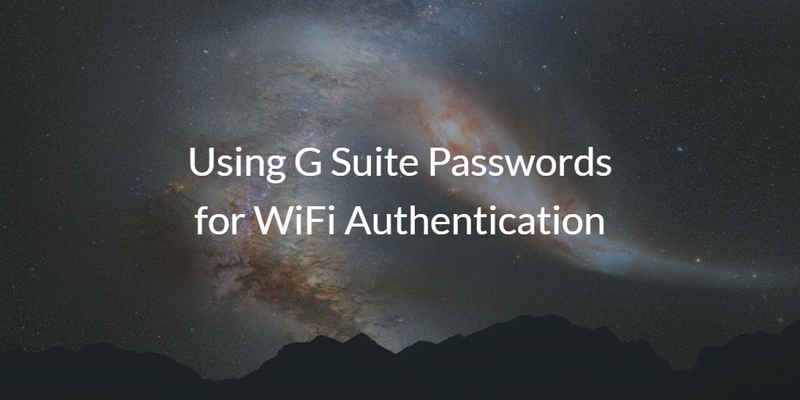 Specifically, in this blog post, we are exploring how to use G Suite passwords for WiFi authentication. This use case appears when IT admins have opted to increase the security of their WiFi network. These IT organizations choose to integrate RADIUS functionality as a bridge to their directory service. Each user then must use their credentials to log into the WiFi network instead of a shared passphrase. Consequently, network access is tied to the individual, unlike when access is available to anybody that knows the shared passphrase. Using central credentials like those from G Suite would be ideal. Unfortunately, this isn’t possible with G Suite alone. Directory-as-a-Service®, in conjunction with G Suite or Office 365, can help solve this problem by serving as the core identity management platform. This cloud-hosted directory service is a replacement to Active Directory, and it houses the core, authoritative user accounts for an organization. 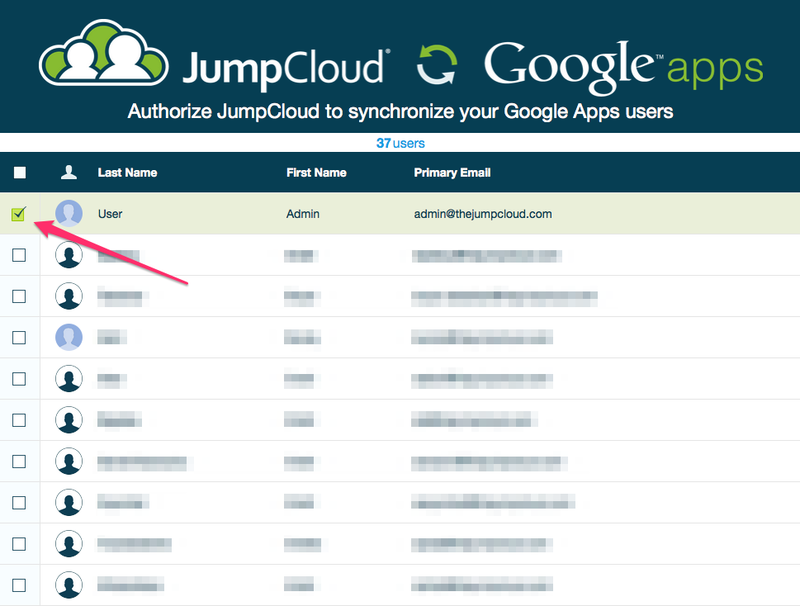 As a result, G Suite passwords for users are leveraged in this IDaaS platform. The same G Suite password can be federated to virtually any IT resource, including the WiFi network, through a virtual RADIUS function. The Directory-as-a-Service platform not only houses the credentials for the user, but it also functions as a cloud directory to their systems, such as Windows, Mac, and Linux, cloud and on-prem applications, and the cloud RADIUS platform to authenticate WiFi users. Drop us a note to learn more about how G Suite passwords are used for WiFi authentication. You may also sign up for a free account to try it yourself. Finally, please be aware that your first 10 users are free forever – no credit card required.